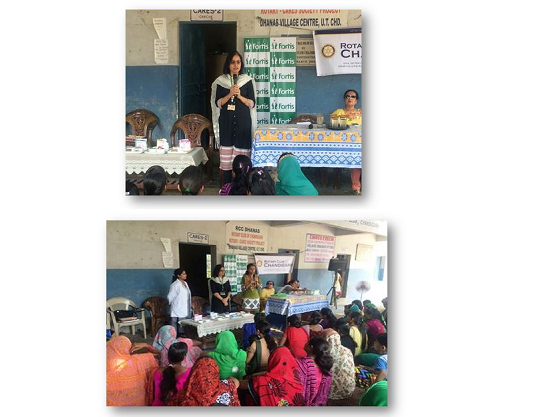 FHM in association with Rotary Club organized an interactive session for Aanganwari workers and female inhabitants of Dhanas on ‘Importance of Nutrition in Daily Life’ at RCC, Dhanas. Dr. Sonia Gandhi, Head, Department of Dietetics and Clinical Nutrition was the speaker for the session. More than 115 women attended the session. Dr. Isha also demonstrated low cost recipes. Tips were given on hygiene, cleanliness of area involved in cooking and utensils, to avoid food borne infections.